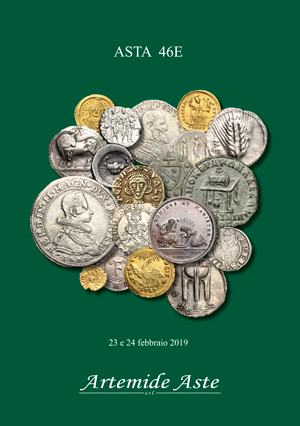 Coins 41 Greek Italy. Southern Apulia, Tarentum. AR Nomos, c. 280-272 BC. 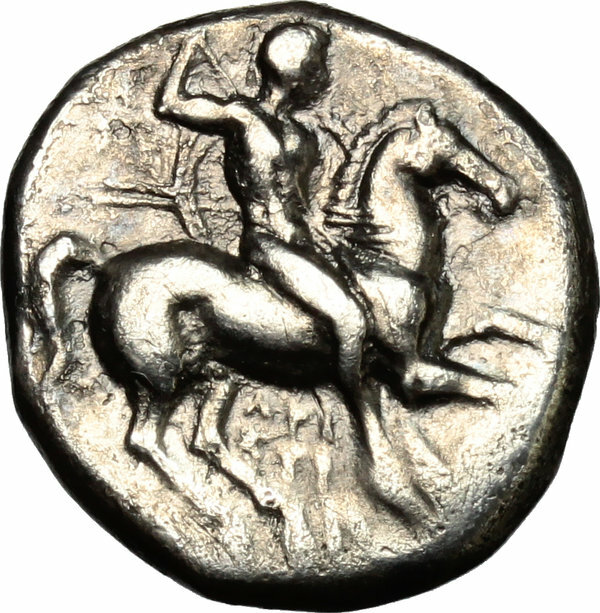 D/ Warrior on horseback right, holding shield and two spears, preparing to cast a third; below, API/ΣTI/Π. 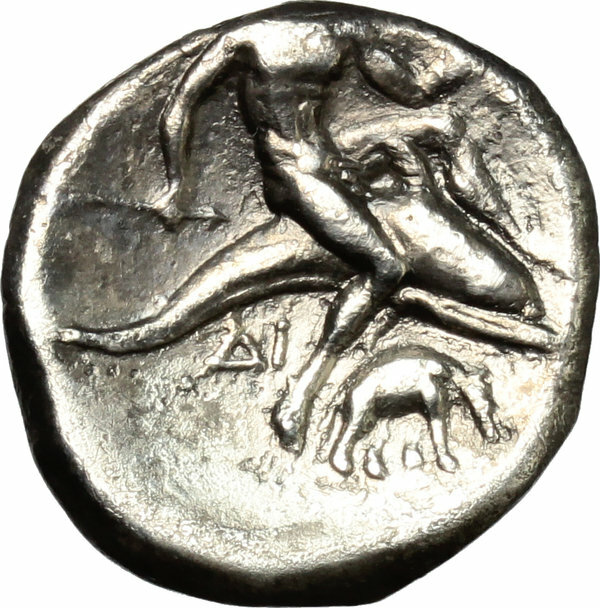 R/ Taras astride dolphin right, holding bow and arrow; below, ΔI and elephant right. HN Italy 999. Vlasto 710-12. AR. g. 6.26 mm. 20.00 Good metal. Minor roughness on obverse; prettily toned. Good VF.